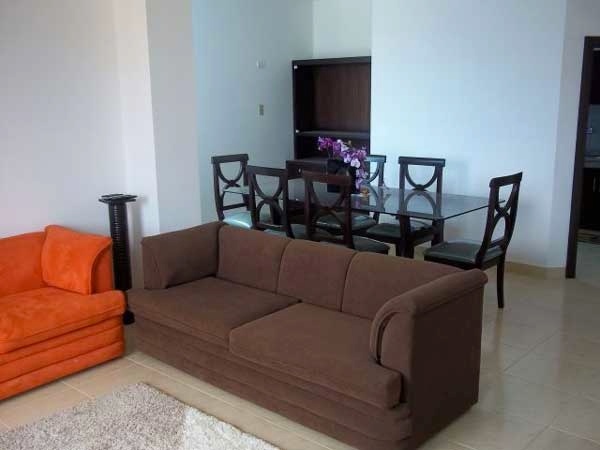 Here is a Manta Ecuador Ocean-view Apartment for sale for $76,000. 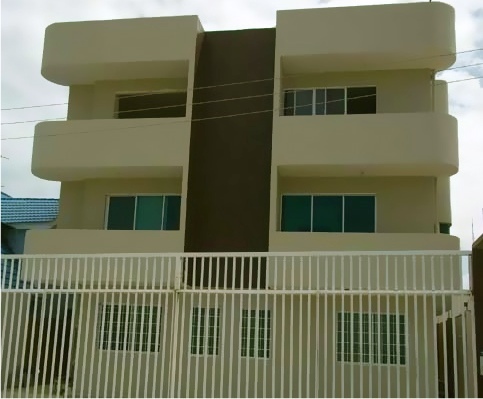 This is a brand new apartment located in the best area of Manta, ready for occupancy August 2011. Third floor with a great ocean view. 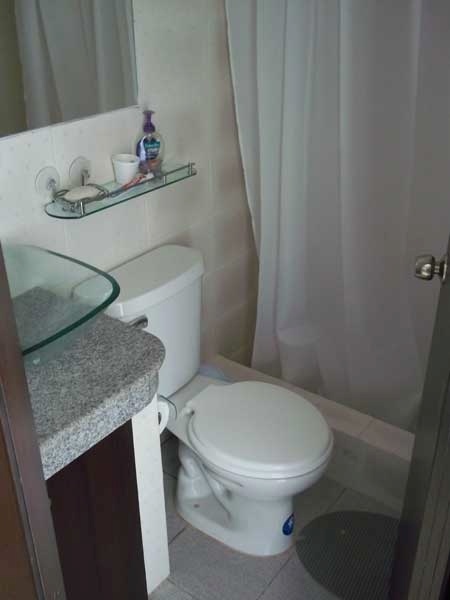 Each apartment has its own water tank and pump. 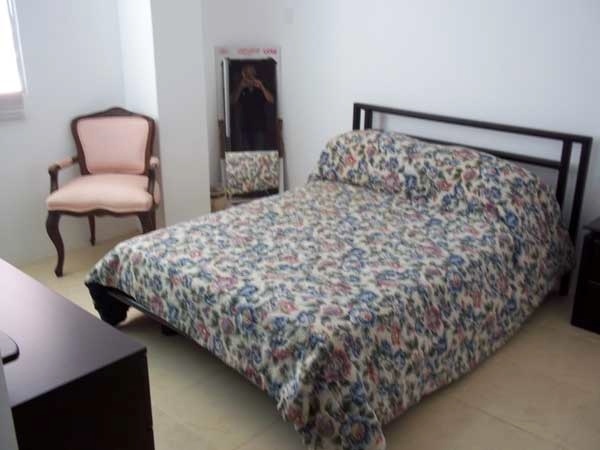 Seller contacts details are at the Ecuador Living Club Member password protected site. 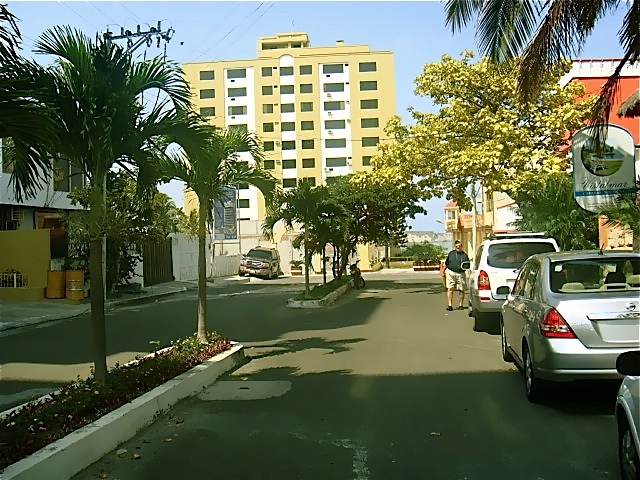 Choosing a good area in Manta is important right now because in the 15 years I have been in Ecuador, the Ecuador crime risks have continually shifted. My first arrival in Ecuador was at Guayaquil… a big commercial city. I loved the place… reminded of Hong Kong in the 1960s… raw… unpretentious… a jumbled hive of extreme energy. Yet back then (about a decade and a half ago) there were serious crime problems and most of our readers we took there were not impressed. Then Guayaquil’s mayor decided to seriously kick the criminals rear ends and he cleaned up the malecon a lot. Then later it shifted back to Guayaquil. Now Jean Marie Butterlin reports it is shifting again. Jean Marie writes: Manta is getting more dangerous than Guayaquil. There were 56 murders in the first six months reported in the paper today. A lot of these murders are gang related but this is still a big increase! 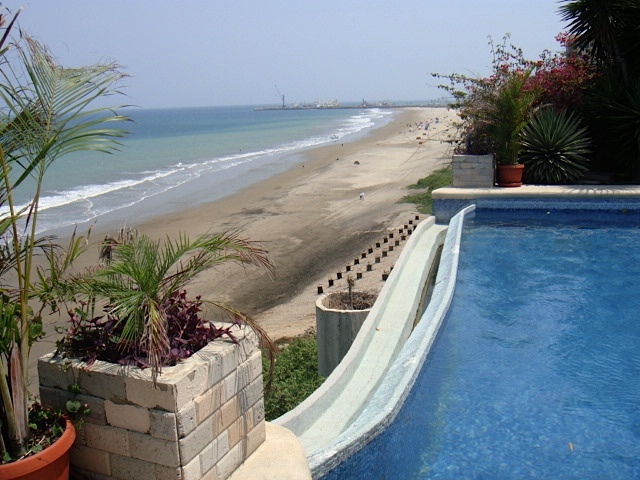 One of our old clients who stayed in Manta has just moved to Vistazul in San Clemente. In Guayaquil things seemed to have improved (a bit like Medellin in Colombia). Guayaquil might become an option for city lovers in the future if the trend continues. Bahia continues to offer low crime and good value. Real estate prices in the resale market are still 33% below what they were pre-earthquake in 1998. Super-Maxi has confirmed that it will build in Bahia; completion within a year. About Ecuador crime. Readers ask about crime in Ecuador all the time. Personally I have never found crime any worse in Ecuador than elsewhere… and in many places much less. Gated Community just south of Manta, Ecuador. many… safe areas in Manta as there are in every city. Crime is everywhere in the world in spots. Some parts of all countries have more crime that others and tourists are usually the greatest at risk…because they do not know the area they are visiting well. A July 12, 2011 article in the Albuquerque Express entitled “Study: Crime risk near airports exceeds national average” says: The risk of becoming a crime victim is four times greater than the national average in areas outside most of the nation’s big city airports, a new study by a crime-forecasting company reveals. The exclusive study, done for USA TODAY by CAP Index, of Exton, Pa., shows that the likelihood of a crime exceeds the national average outside 28 of 29 airports in the most populous metropolitan regions of the country and all 26 central train stations studied. Airports and train stations may feel safe to travelers because of a greater presence of police and security people. However, travelers should be careful not to carry a false sense of security outside with them, criminologists warn. Areas of special risk include Philadelphia International Airport, George Bush International airport Houston’s Amtrak station. The area outside Houston’s station on Washington Avenue has a higher crime risk than any other area near a big central train station. Union Station in Los Angeles and Chicago, and Philadelphia’s 30th Street Station are riskier than most. Furthermore, a July 13, 2011 USA Today article “Crime lurks outside airports, rail stations” by Gary Stoller, magnifies these crime risk warnings and says: Frequent business traveler, Jim Shriner, says it’s too risky to walk through neighborhood streets outside the Philadelphia and Newark airports. I would not venture out alone on foot into either of these areas,” says Shriner, who lives in Lithia, Fla., and is a vice president in the health care industry. Shriner, like other veteran travelers, knows the risk of becoming a crime victim often increases once he leaves the confines of an airport or central train station and goes into surrounding neighborhoods — where travelers routinely pick up or return rental cars, refill gas tanks, buy provisions and check into hotels. Jean Marie reports: There is very little crime in Bahia, although some petty thefts have been reported. Bahia is very laid back and kids play in the streets even late in the evenings. A small part of the local community has organized themselves and are investing about $6,000 to place 10 video cameras in strategic locations all over the city. These cameras will be linked to the local police station. This group is also putting up billboards around the city, showing that the streets are being monitored with a picture of an “Ojo, the Aguilla” or “Eagle’s Eye”. This is good prevention as Bahia residents had some fears that the opening of the bridge over the Chone might increase crime. Before the bridge was completed, one could not escape Bahia easily as there was only one route. The bridge creates a second escape route for criminals. 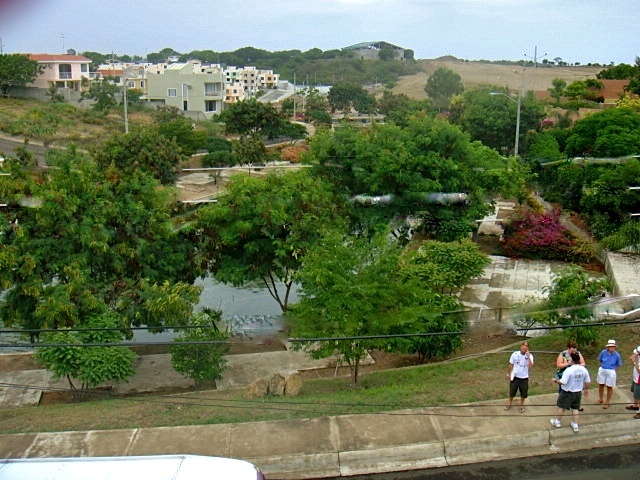 Plus a third route is being finished that will pass behind the hill of La Cruz (white cross). 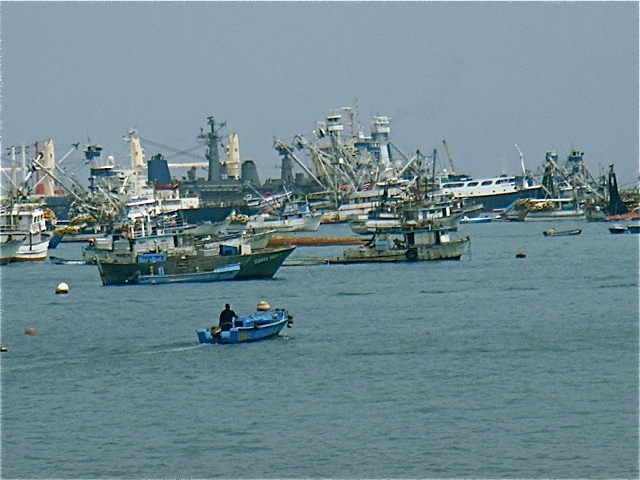 Canoa has reported some problems (two rapes in the last two years), but Canoa is more of a party town with young foreigners as well as teenagers from Quito. In Bahia we are very happy to see the “party” people go to Canoa and enjoy their lives there, leaving us quietly behind. Crime is everywhere… around the world. When you look for a house, check out the crime in the area before making your choice. 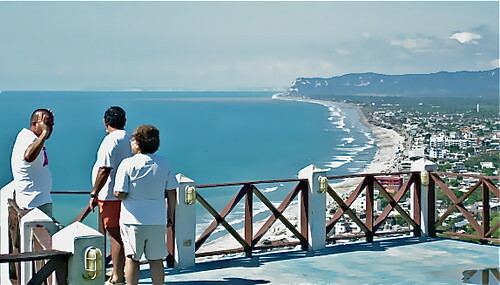 See some safe Ecuador beach areas on an Ecuador mid coast real estate tour.